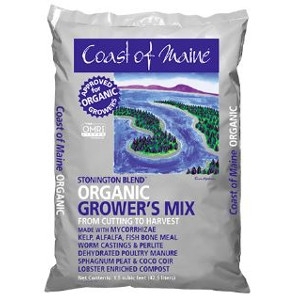 Compost based potting soil blend that incorporates mychorrhizal fugi, kelp, fish bone, alfalfa meal, worm castings, peat, coir and lobster compost. This "super soil" is designed to be used in containers and large pots with no need for additional nutrients. Saving you time and money! Approved for organic gardening!